Using an array of NASA generated sounds, Cosmix gives you the ability to mix space-related sounds with musical tracks to create something of your own. Develop an interactive tool to leverage NASA audio files from space missions in new and innovative ways, from arts and entertainment to science and engineering. Your solution could be a new audio capability or platform to feature, consume, enhance, or alter NASA files. Or perhaps you can decode hidden messages in files that NASA missed. NASA's audio library contains a wide array of sounds from outer space, missions and famous speeches. Those clips are now available to mix with other musical tracks. 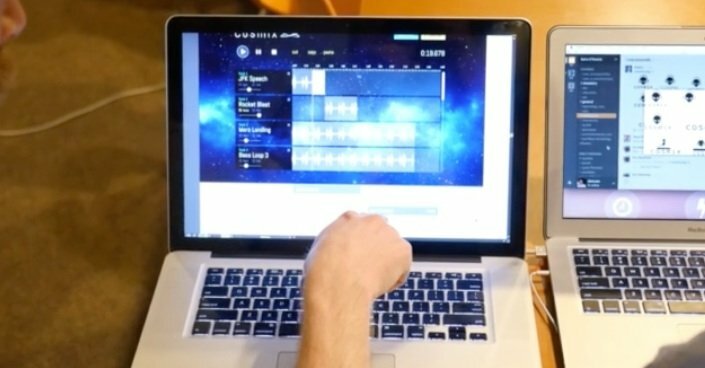 The Cosmix team created a web audio editing platform designed to mix unique space-related sounds from NASA with a library of musical tracks. The Cosmix team's solution expanded NASA's reach of participatory space exploration. NASA missions generate expected and unexpected audio files, there are eerie sci-fi sounding beeps and whirs from outer space, the roar of racket engines, and human commentary during missions - even memorable works such as, "Houston, we've had a problem." This platform allows users to integrate space into their daily lives with sound applications of their own.